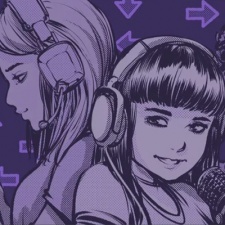 Twitch is planning to spotlight a handful of its female streamers to honour Women’s History month and International Women’s Day. The platform plans to showcase a variety of its leading ladies, from artistic streamers, competitive gamers to IRL chatters. Each creator will have a schedule slot on the front page for the entire month. Twitch will also host a special edition of Twitch Weekly on March 8th with an hour-long panel hosted by Anna Prosser and Twitch Head of Diversity & Inclusion Katrina Jones. Other women from the tech and gaming industries will also be making appearances for the show to celebrate the day. In addition to all this, Twitch is partnering up with the 1000 Dreams Fund for a second year running to raise money for women looking to get involved with the broadcast industry and STEM initiatives. The Twitch community was able to raise more than $45,000 last year in the same way. Twitch will also invite women from the Counter-Strike: Global Offensive community to compete and help raise money for the fund too. Twitch plans to match every dollar raised up to $25,000 for the stream. A full list and schedule of who will be appearing during the event is available over on the Twitch blog.